I recently had the opportunity to install a CRM server and ran across an issue I hadn’t previously experienced when installing the E-mail Router. Once the repair is complete, you should be able to move forward with the installation. I hope this helps if you run across this issue. 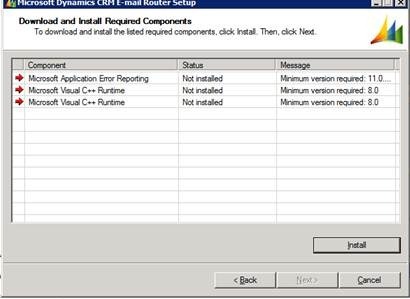 Next Post: CRM Online E-mail Router – Yes We Do That!